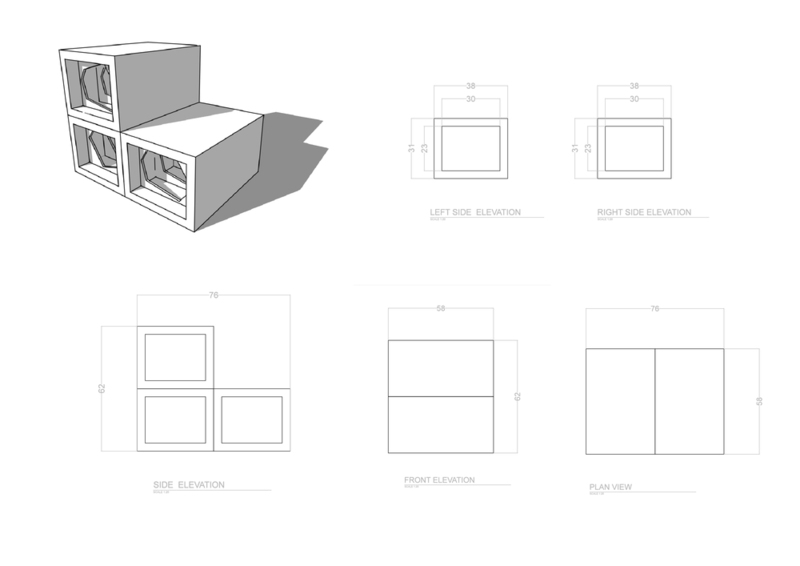 Stare is a modular unit created from 10 cardboard boxes found on the street. 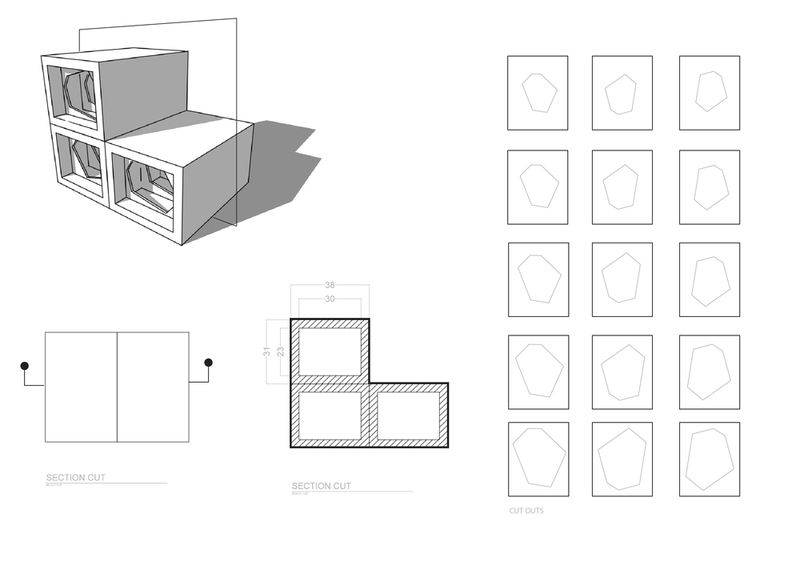 Three of the boxes were repurposed to become open vessels to hold a tunneling effect that would be cut and created from the remainder of the boxes. 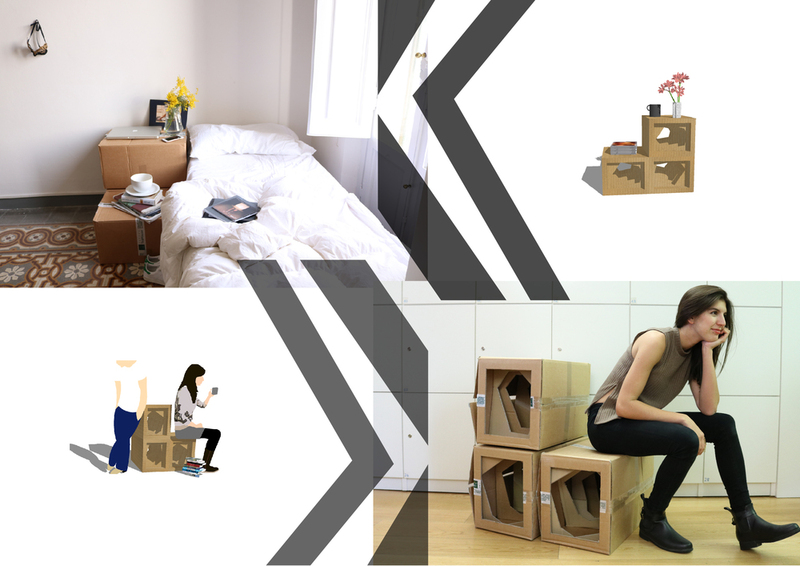 This product is multifuctional as when it sits one way, it is the regulated height for a nightstand and offers two platforms in which to rest and set things, as well as three units of storage within each box. When flipped on its other end, Stare takes on the role of a chair as it is a regulated seat height perfect for lounging while still offering a place to set things, and three units of storage. The beauty is that such a mundane material can be made into something worthing Staring at while also being repurposed to become resilient enough to withstand holding one's belongings, or even holding one's self.